I wouldn't even consider starting to work on a new website without a plan. How can you create a design or content if you have no idea where you are going with the site in the future? 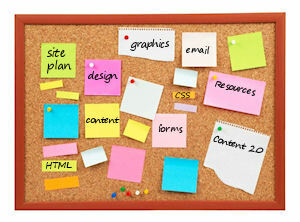 You can't even begin to plan out your site, though, unless you've done the keyword research first. So, if you haven't done that, then be sure to go back to the Action Guide at SBI and also review the keyword tutorials here on this site. Then, once you have 30 to 50 solid keywords that you know you can build pages around, it's time to start thinking about how to plan a website using them. If you're knowledgeable about the niche that your website will target, then you should already have at least a general idea of the categories of information you'll need to cover. But website planning requires that you drill down from the general to the specific, and the keyword research you've done should help you with that. There are several approaches you can take to developing the topics and subtopics to cover. Certainly the keywords should provide some direction, but you can also do a mindmap brainstorm or just create an outline. How you do it isn't important... it's the doing it that is... that, and organizing the information you'll provide in a logical way. 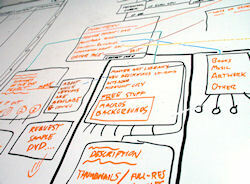 The tutorials below serve as a sort of web site planning guide. I encourage you to follow along with them... taking the time for logically planning a web site is definitely a tool for future success. 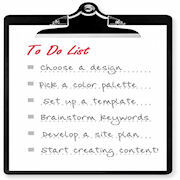 Most webmasters struggle with how to plan a website, at least in the beginning. This is where picking the right size niche can make a real difference. If your niche is too broad, your plan is going to be too complex. On the other hand, if your niche is too narrow, it can be hard to come up with enough content to fill 30 to 50 pages (which is an absolute minimum size for a site you want to be able to attract significant amounts of traffic). So take this web site planning guide seriously.